Shingles is a virus condition involving inflammation of sensory nerves that can result in severe pain. It causes localized pain, numbness, and itching, followed by the appearance of clustered blisters in a strip pattern on one side of the body. Sometimes the pain can persist for weeks, months, or years after the rash heals (known as postherpetic neuralgia). The term “shingles” is derived from the Latin word cingulum, meaning girdle -- the idea being that shingles often girdles part of the body. 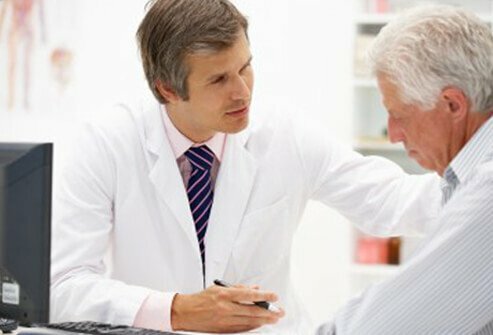 Who Is at Risk of Shingles Virus? Up to 1,000,000 cases of shingles are estimated to occur each year in the U.S. The pain of shingles may develop even when there is no rash. The patient may notice several days to a week of burning pain and sensitive skin before the rash appears. In this situation it may be difficult to determine the cause of the often severe pain. 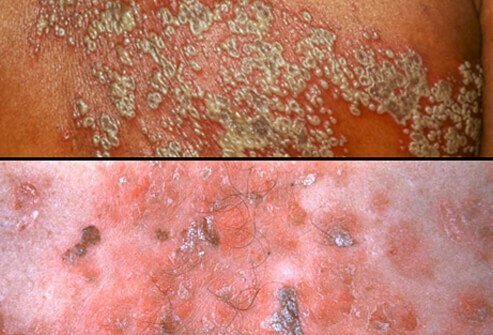 The characteristic rash of shingles rash starts as small blisters on a red base. New blisters continue to form for three to five days. 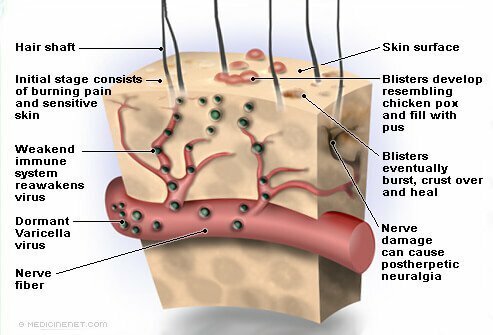 The blisters appear along the path of individual nerves in a specific "ray-like" distribution (called a dermatomal pattern) and appear in a band-like pattern over an area of skin. Just like the blisters of chickenpox, the blisters in shingles eventually burst, and the area starts to ooze. The blisters will then crust over and heal. Before the blisters crust over, the VZV virus can be spread to anyone who is not immune to chickenpox through vaccination or previous infection. The scabs eventually fall off, and the rash disappears. Sometimes scarring may result. An outbreak of shingles can last for 3 to 4 weeks. Sometimes the pain is present but the blisters never appear. This can be a very confusing cause of pain. Some affected people develop postherpetic neuralgia (PHN), in which the localized pain remains even after the rash is gone. Postherpetic neuralgia (PHN) is the most common complication of shingles. This is defined as persistence of the nerve pain associated with shingles beyond one month, even after the rash is gone. It occurs from irritation of the sensory nerves by the virus. 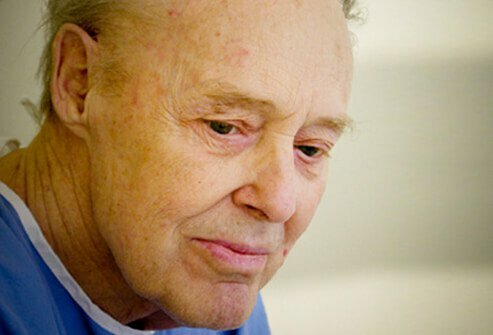 The pain of PHN can be severe and debilitating. Up to 15% of people with shingles develop PHN. Typically, this occurs in people over 50 years of age. Treatment of shingles with antiviral drugs can reduce the duration and occurrence of postherpetic neuralgia. Shingles is contagious. Shingles can be spread from an affected person to babies, children, or adults who have not had chickenpox. Instead of developing shingles, these people develop chickenpox. 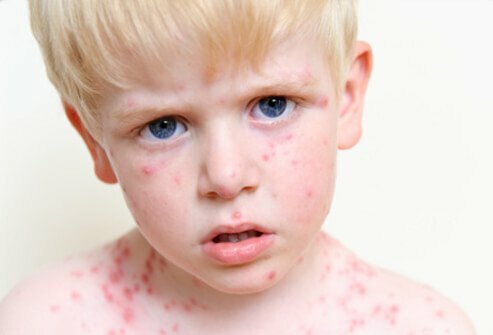 Once they have had chickenpox, people cannot catch shingles (or contract the virus) from someone else. Once infected with VZV, however, people have the potential to develop shingles later in life. Shingles is contagious to people who have not previously had chickenpox when there are new blisters forming and old blisters healing. Like with chickenpox, the time prior to healing or crusting of the blisters is the contagious stage of shingles. After all of the blisters are crusted over, the contagious period is over and the virus can no longer be spread. Usually, shingles heals well and remaining problems are minimal. However, complications may arise from time to time. On occasion, shingles blisters can become infected with bacteria, resulting in cellulitis. Cellulitis is a bacterial infection of the skin. When cellulitis occurs, the skin area turns reddened, warm, firm, and tender. A more worrisome complication occurs when shingles affects the face (forehead and nose), which may spread to the eye and lead to loss of vision. 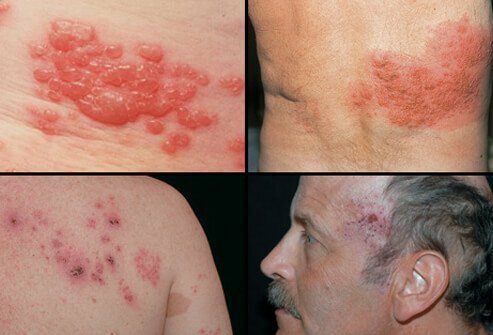 The clinical appearance of shingles is usually sufficient for a doctor to establish the diagnosis. Diagnostic tests are not usually required. However, particularly in people with impaired immune function, shingles may sometimes not have the characteristic clinical pattern. In this situation, samples from the affected skin may be examined in a laboratory, either by culturing the tissue for growth of the virus or by identifying the genetic material of the virus. You can take steps to reduce the duration of a shingles outbreak, but in the end, the virus must often simply run its course. There is no cure for shingles. Antiviral medication is effective only if given early, so it is important to visit your doctor soon after an outbreak starts or is suspected Those with facial, nose, or eye symptoms should seek medical care immediately. Early medical attention may also prevent or reduce any scarring. There are many drugs used to fight shingles and its symptoms. This is an explanation of those drugs and their functions. 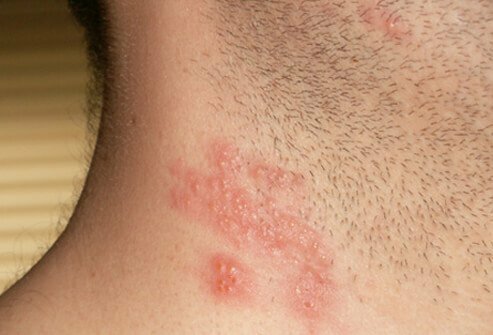 Drugs that fight viruses (antiviral drugs), such as acyclovir (Zovirax), valacyclovir (Valtrex), or famciclovir (Famvir), can reduce the severity and duration of the shingles rash if started early (within 72 hours of the appearance of the rash). In addition to antiviral medications, pain medications may be given. Both nonsteroidal anti-inflammatory medications and narcotic pain-control medications may be used for pain management in shingles. Postherpetic neuralgia (PHN) may require additional medications to control pain. Topical corticosteroids are sometimes used to decrease inflammation and pain, but these should be used only under the supervision of a health care professional since in some patients, corticosteroids may make the condition worse. Bathing is generally allowed, and the affected area can be washed with soap and water. 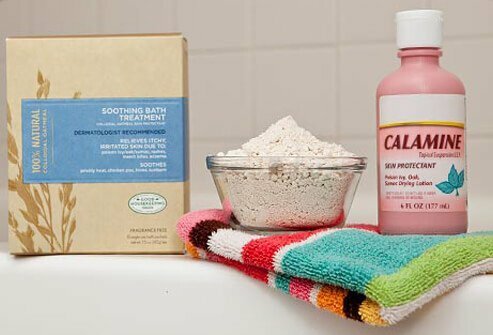 Cool compresses and anti-itching lotions such as calamine lotion may also provide relief from symptoms. An aluminum acetate solution (Burow's or Domeboro solution, available at pharmacies) can be used to help dry up the blisters and oozing. Application of petroleum jelly can also aid in healing. 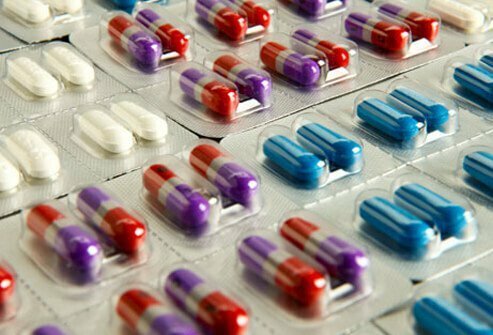 Over-the-counter (OTC) antihistamines, such as diphenyydramine (Benadryl) and pain medicines can also help provide relief. Wearing loose clothing can help avoid extra pain from clothing rubbing against the rash. 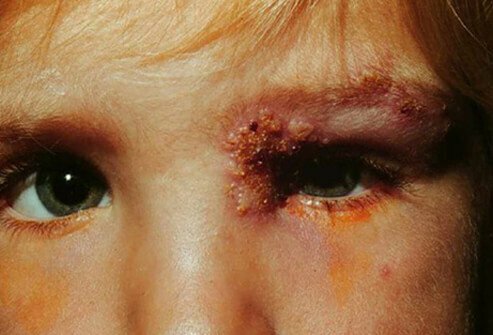 Avoid close skin-to-skin contact with others who have not had chickenpox, are ill, or who have a weakened immune system to avoid spread of the virus. In May 2006, the U.S. Food and Drug Administration (FDA) approved the first vaccine for adult shingles. The vaccine is known as Zostavax and is approved for use in adults ages 50 and over who have had chickenpox. 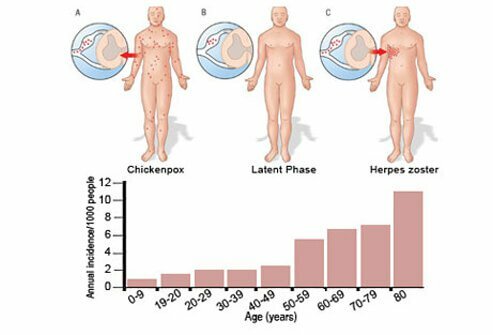 The U.S. Centers for Disease Control and Prevention (CDC) recommends the vaccine for people 60 years of age and over who have had chickenpox. It is a onetime injection that contains a booster dose of the chickenpox vaccine that is given to children. Tests showed that the vaccine significantly reduced the incidence of shingles in older adults. 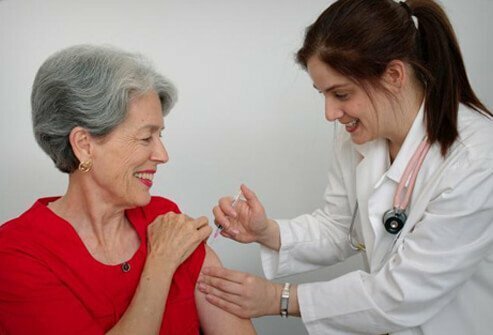 The single-dose vaccine was shown to be more than 60% effective in reducing shingles symptoms, and it also reduced the incidence of post-herpetic neuralgia (PHN) by at least two-thirds. Even if you have had shingles, you can still have the vaccine to help prevent future outbreaks. Who Should Avoid the Shingles Vaccine? Some people should not receive the shingles vaccine, including pregnant women and those with significantly suppressed immune systems. The shingles vaccine should not be given to pregnant women. It is recommended that a woman wait three months before trying to become pregnant after she has received the shingles vaccine. 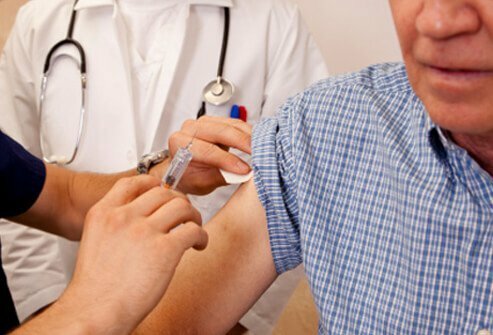 People with weakened immune systems due to immune-suppressing medications, HIV disease, cancer treatment, or organ transplants should not receive the shingles vaccine because it contains live, weakened virus particles. 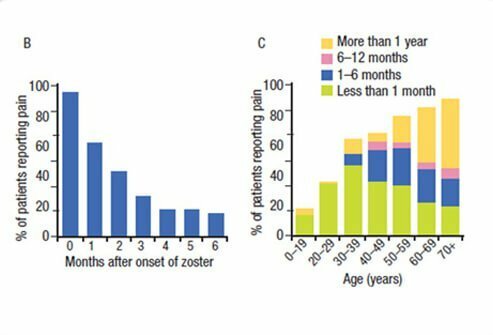 There is not enough information available to determine whether Zostavax may be generally beneficial in people younger than 60 years of age. The shingles vaccine has not been shown to cause any serious side effects or health consequences. Minor side effects of the vaccine include redness, swelling, soreness, or itching at the site of injection, and headache. It is safe for those who have received the shingles vaccine to be around babies or those with weakened immune systems. 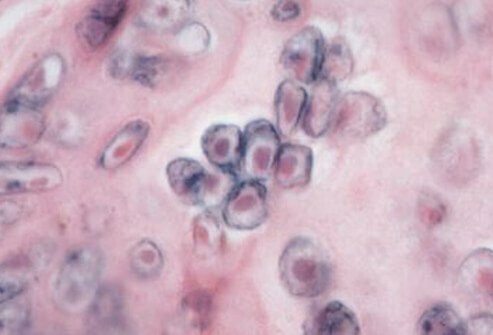 It has not been shown that a person can develop chickenpox from getting the shingles vaccine, although some people who receive the vaccine may develop a mild chickenpox-like rash near the injection site. This rash should be kept covered and will disappear on its own. Pregnant women are susceptible to shingles. Fortunately, shingles in pregnancy is very rare. The antiviral medications described previously are considered safe to use in pregnant women, as are most pain-relieving drugs. Women should not take nonsteroidal anti-inflammatory medications such as ibuprofen (Advil) or naproxen (Aleve) in the later stages of pregnancy, but acetaminophen (Tylenol) is considered safe. Having chickenpox during pregnancy has the potential to cause birth defects, depending upon when in the pregnancy the infection occurs. The risk of birth defects is believed to be lower with shingles than with primary chickenpox infection. Fitzpatrick's Dermatology In General Medicine, Seventh Edition: Volume Two Klaus Wolff; Lowell Goldsmith; Stephen Katz; Barbara Gilchrest; Amy Paller; David Leffell Copyright 2007 by The McGraw-Hill Companies. All Rights reserved. National Institute of Neurological Disorders and Stroke: "NINDS Shingles Information Page"